One of the most rewarding career paths is to start your own business from scratch. However, it's often the most risky and certainly the most daunting of possible challenges in the field of work. It usually requires upfront investment and, to begin with, ALL of your time and attention. No amount of preparation and foresight will prevent problems from occurring and so an ability to "bounce back" from minor disasters and mistakes is of paramount importance. One of the key issues facing every startup is recruiting the right people first time. Money will be tight and time is against you so recruiting the wrong person at the wrong time can actually prove fatal to a business. On the other hand, recruiting the right person will turn your "job" into a real business and the first time you get this right will be one of the biggest "highs" you will experience in starting up a business. This is so important because you won't have a proven track record, high salaries, company cars and sparkling trinkets or a plethora of health and training benefits to dangle enticingly in front of your future employees. You need to sell the opportunity instead. 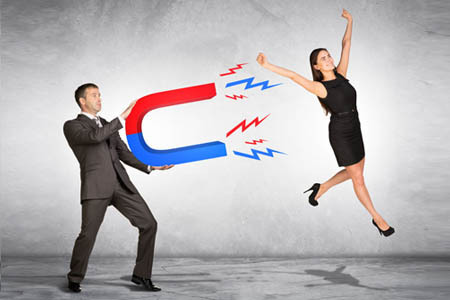 It's actually quite attractive for many candidates to be in at the start of a new opportunity - the promotion and share prospects are enormous if the business is successful and so if you can sell your vision to an investor then you should be able to sell it with passion to your employee. You need to select people who are prepared to put in the hours and who see the future of the startup in the same way you do. A nine to five clock watcher is unlikely to be the best fit for your startup so look for passion, strong attitude and for someone who gets things done. Nine to five, sitting at an office desk, and wearing a tie are all "last century" ideas when it comes to building a team. It should be about bright people with great ideas getting things achieved quickly and building the business brick by brick. If your best talent wants to work from home, let them. If they have child care issues, unusual holiday plans, or other occasional quirks then your understanding and flexibility will pay dividends in the long-run. Additionally, why not "road test" a new role by farming out some tasks to a contractor or creating a part-time job to see how it could develop? You are the boss and fundamentally the buck stops with you. People who are attracted to startups are not the same people who will keep doing a job they hate and will stay working for a manager that they dislike in order to bring in the monthly paycheck. You do not want to employ these types of people anyway! So, be a joy to work for. Attract similar people to the other key roles so the working environment is a pleasure. Give exciting projects to your talent and limit the dull tasks - ideally get them done elsewhere. Your challenge is to make your employees look forward to Mondays. After all, if they can envisage their future holiday cottage in the Dordogne then every Monday has a personal purpose taking them closer to their dream. If they are also enjoying the challenges and personal achievements of the role then they will love what they do. Yes, we do mean promote in both senses of the word. Firstly, have a future structure in mind so your talent can see what the future holds for them. Your top sales person might want to become your future sales director or open a new branch/office in a new location. Or they may want to become your new Marketing Director or chief product strategist ensuring you offer your customers exactly what they want. But you had better find out what they are hoping for in their future! The second meaning of promote is to tell everyone about your company, your vision and your successes. Both by networking locally and in your online presence, you should build a brand that inspires and entices people to be associated with you. You'll hold on to your key talent longer and attract new talent from other startups who have not yet delivered on their own potential. Twenty-one years ago, Jackie Kerr Recruitment was also a startup business! Technology has changed out of all recognition since then but actually most of the above points were as true then as they are now. We also have over twenty years' experience in helping other startups to recruit their key teams so we would be delighted to help you. To find out about our flexible recruitment packages, specifically tuned for startups, contact, call us for a chat on 01793 762026 or email Jackie and her team at: jackie@jackiekerrrecruitment.com.